BareMinerals Ingrid Nilsen Be Your best Self 4-Piece Customizable Set | Top Beauty Blog in the Philippines covering Makeup Reviews, Swatches, Skincare and More! 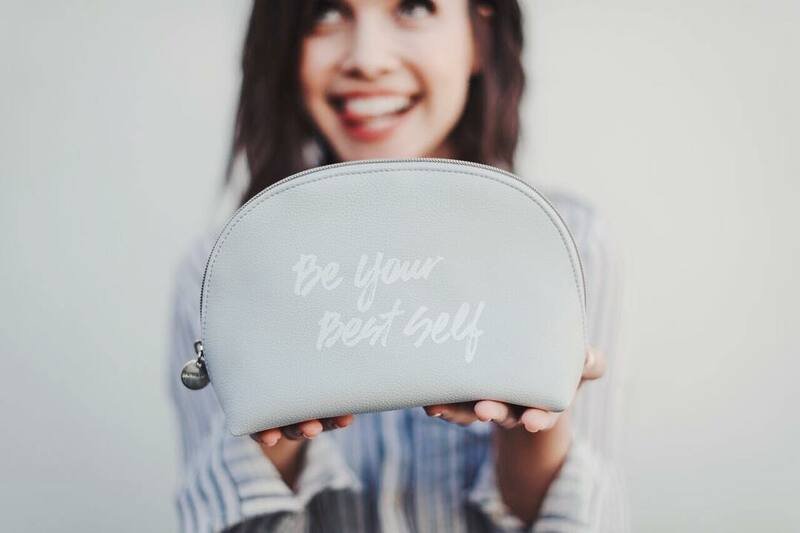 BareMinerals teamed up with YouTube personality, Ingrid Nilsen, to create a limited-edition collection of skin-luminizers, inspired by Ingrid's personal message of letting your best self shine through. The collection includes a full-size Original Foundation (now available in 30 shades), plus a custom metallized Beautiful Finish Brush emblazoned with Ingrid's message "Be You" as a reminder to be your best self every day. The star of the collection is Ingrid's bespoke highlighter, which she designed exclusively in a limited-edition warm champagne shade infused with gold pearl, which makes you look as radiant as you feel. This hand-baked formula feels utterly weightless, applies smoothly and blends evenly for a luminous, natural complexion. The collection comes in a soft gray makeup bag adorned with Ingrid's personal mantra, be your best self, as a daily reminder to take wherever you go. Oh, I want it, too!